Alisa Clickenger (Event Organizer), Porsche Taylor, Editor of Black Girls Ride (Ride Leader), Sarah (SeCCRet) Moreau (Ride Leader). Alisa Clickenger of Women’s Motorcycle Tours announces a day rider registration option for the Sisters’ Centennial Motorcycle Ride. The cross-country motorcycle ride for women, scheduled for July 3-23, 2016, will commemorate the 100th anniversary of Adeline and Augusta Van Buren’s historic ride across the United States from New York to San Francisco. The day rider option includes riding with the “main” group of riders, a route sheet of the day’s ride, rider support, dinner with the group and a commemorative T-Shirt. This registration option is for a maximum of three days. Riders wanting to join the event or four or more days would need to register differently. The day rider option does not include tolls, fuel, hotel rooms or entry fees to museums or other venues. Separate payment is required for those items. The extended family of the Van Buren sisters will be on the ride, including Adeline's grandson Dan Ruderman, great-granddaughter Sofié Ruderman and great-grandson Skyler Ruderman. Nieces and nephews of the Van Burens will also be on the ride, including Robert Van Buren, great nephew of the sisters as well as his daughter Sarah Van Buren, great-great-niece of Adeline and Augusta. The ride route will follow the Van Burens' 1916 route as closely as possible, often along the Lincoln Highway. 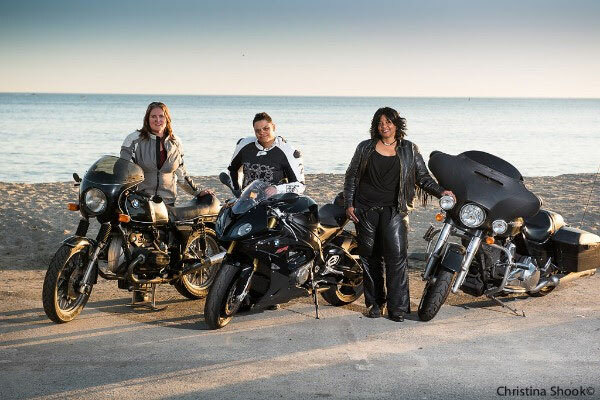 Combining scenic routes, community events, and important stops along the Van Burens’ own journey, the route will allow for great motorcycle riding and promote women as role models by visibly demonstrating their courage and capability as cross-country motorcycle riders. Women, and men, have many shorter-duration options for participation, including attendance at the Launch Party in Springfield, MA, July 4, 2016, and the Grand Finale Party in San Francisco July 23rd. There is a Meet & Greet registration option in Carson City, NV, July 22nd, where riders can join with the cross-country participants and travel the final leg of the trip with the group over the iconic Golden Gate Bridge and into San Francisco. Registration is open on the event website at www.SistersMotorcycleRide.com.